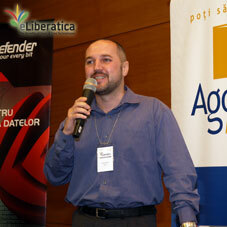 Welcome to one of the most important Romanian IT events of 2007. 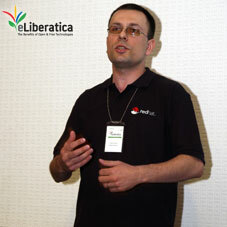 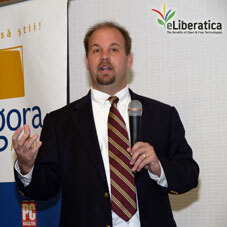 The eLiberatica Conference brings community leaders from around the world to talk about the hottest topics in FLOSS (Free/Libre/Open Source Software) movement demonstrating the advantages of adopting, using and developing Open Source and Free Software solutions. 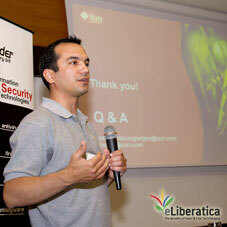 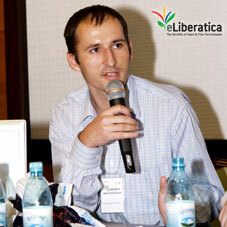 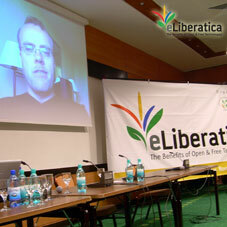 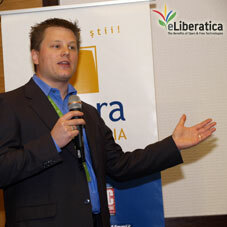 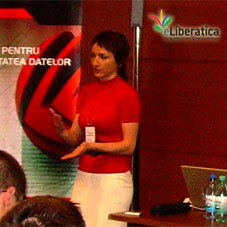 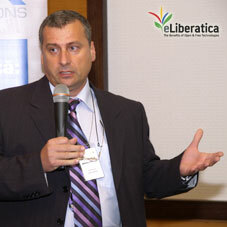 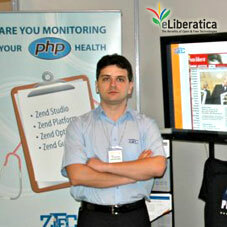 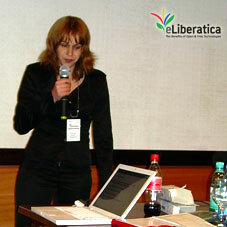 eLiberatica will be held in the spring of 2007, on 18th-19th May at Braşov, Romania. 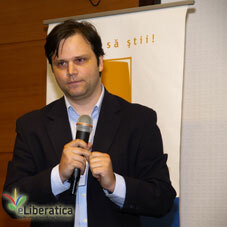 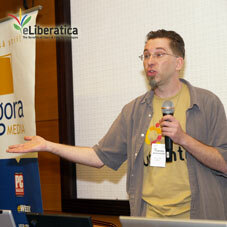 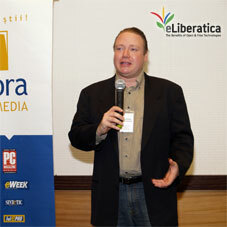 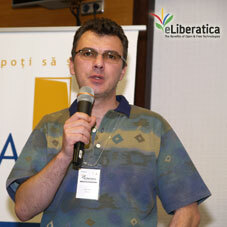 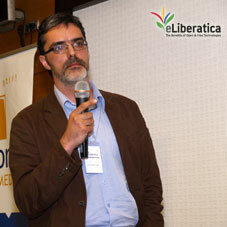 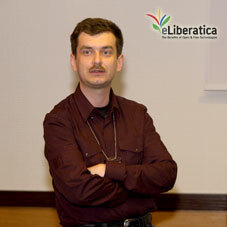 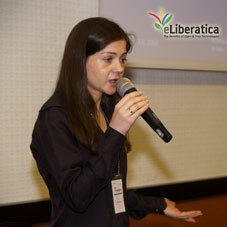 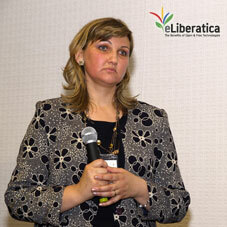 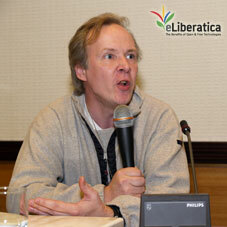 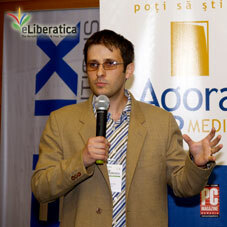 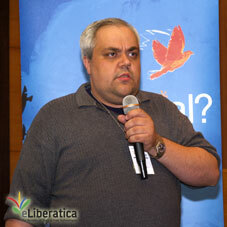 The event is organized by ROSI - the Romanian Open Source and Free Software Initiative and by Agora Media. 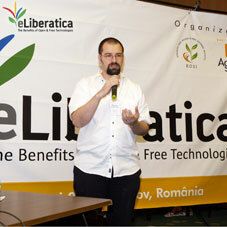 "We started with the belief that FLOSS can contribute to a creative, effective and constructive information technology movement in Romania and that eLiberatica will be a conference that helps to launch this movement." 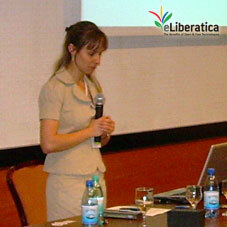 Echoes about eLiberatica 2007: "Far beyond expectations!" 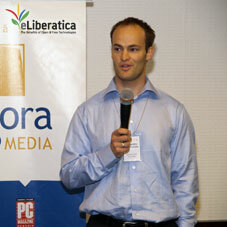 ABOVE: eLiberatica Organizers and International Speakers - from left to right: 1 - Adrian Pop - Executive Director of Agora Media, 2 - Kurt von Finck - member of the GNOME Foundation, Senior Ubuntu Systems Support Analyst at Canonical and dedicated FLOSS advocate, 3 - Monty Widenius - the main engineer, initiator and supervisor of MySQL, 4 - Lucian Savluc - the initiator and coordinator of eLiberatica conference and the ROSI group (Romanian Open Source and Free Software Initiative), 5 - Romulus Maier - General Manger of Agora Media, 6 - Gabriela Bartic - Public Relation, Agora Media, 7 - Jim Willis - former Director of eGovernment and Information Technology for the Rhode Island Office of the Secretary of State, 8 - Aleksander Farstad - the co-founder and CEO of eZ systems, 9 - Brian Behlendorf - board member of the Mozilla Foundation and one of the Apache Project initiators, 10 - Zak Greant - Floss advocate and an evangelist, member of Mozilla Foundation and Free Software Foundation, 11 - Georg Greve (missing from this picture, he left a day before) - initiator and president of the Free Software Foundation Europe (FSFE). 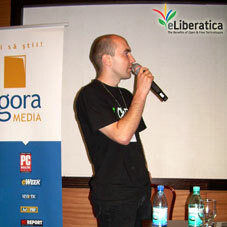 BELOW: First day, main room.